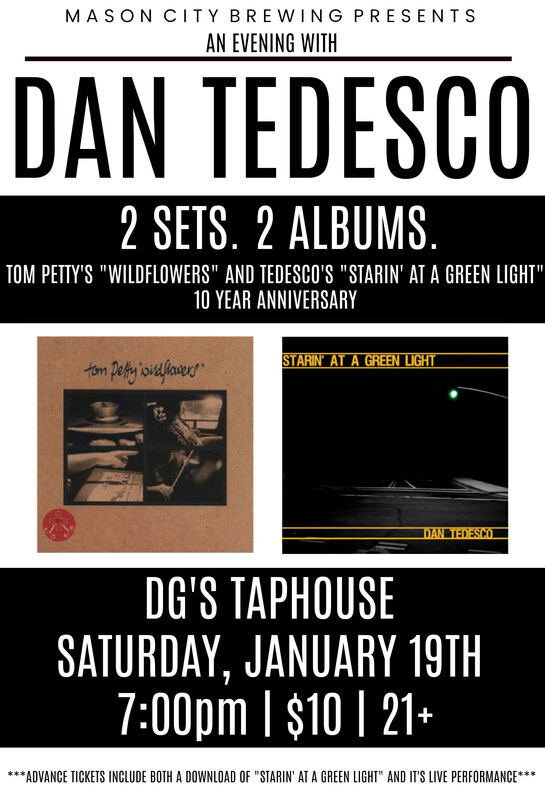 Mason City Brewing Presents Dan Tedesco 2 Sets, 2 Albums at DG's Tap House on Saturday January 19th 2019! Iowa-based Alternative Folk artist Dan Tedesco presents this special double-feature. Two sets. Two full album performances. 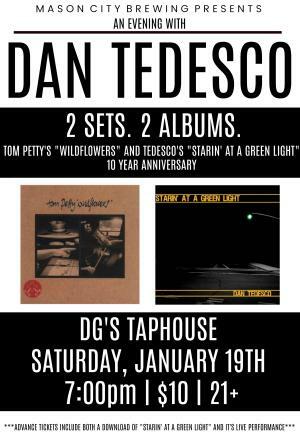 The first, Tom Petty’s masterpiece, “Wildflowers”, and the second, Tedesco’s first album, “Starin’ At A Green Light”, which turns 10 years old in 2019.